Bert Schultz authors his second book of Alaskan adventures, this time about fifty years of hunting and fishing experiences. Arriving in Alaska at age twenty-five, he quickly found it necessary to provide food for his family from the wilds of Alaska. Imagine fishing the Kenai Peninsula’s Russian River in the late 1950s and never seeing another fisherman. Or on the first day of moose season seeing five legal moose within a quarter mile of your Caribou Hills campsite. Having little experience fishing or hunting, he in faith believed God would provide. And he saw God work the impossible and had many exciting adventures along the way. These true stories will keep you reading until you finish ALASKAN ADVENTURES—HUNTING AND FISHING BY FAITH. 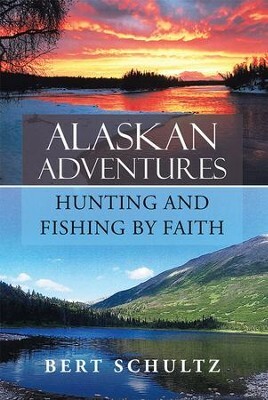 I'm the author/artist and I want to review Alaskan AdventuresHunting and Fishing by Faith - eBook.